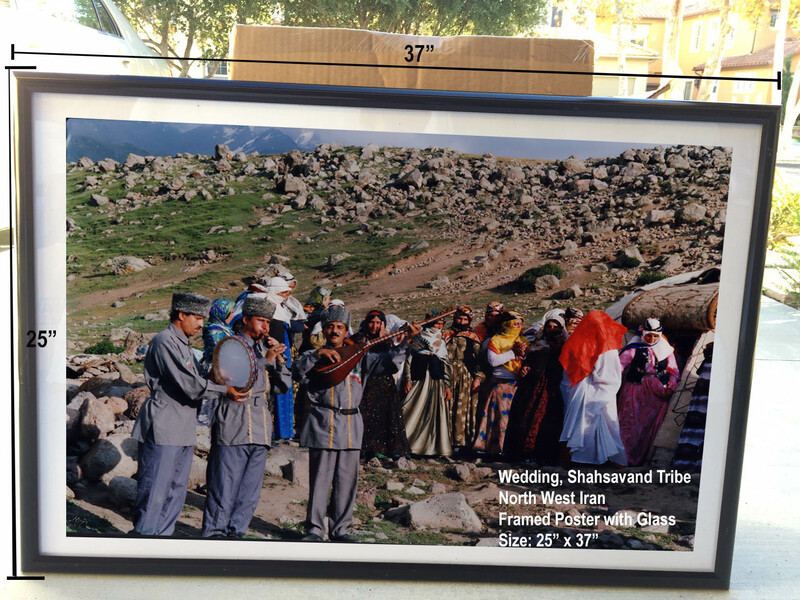 This picture frame, is taken from an actual wedding ceremony of one of Iran's oldest tribes, called "Shahsavand" which live in the North Western part of Iran. The photo has been enlarged in high quality and placed inside a nice frame with glass on top. Decorate your home or office with this beautiful picture frame.